Garrett absolutely loves playing with his trains, especially when his dad builds him a very high bridge for his trains to cross. He is always smiling and his happiness is contagious. It’s Garrett’s infectious personality that helped the family persevere when he was diagnosed with cerebral palsy when he was one-and-a-half years old. 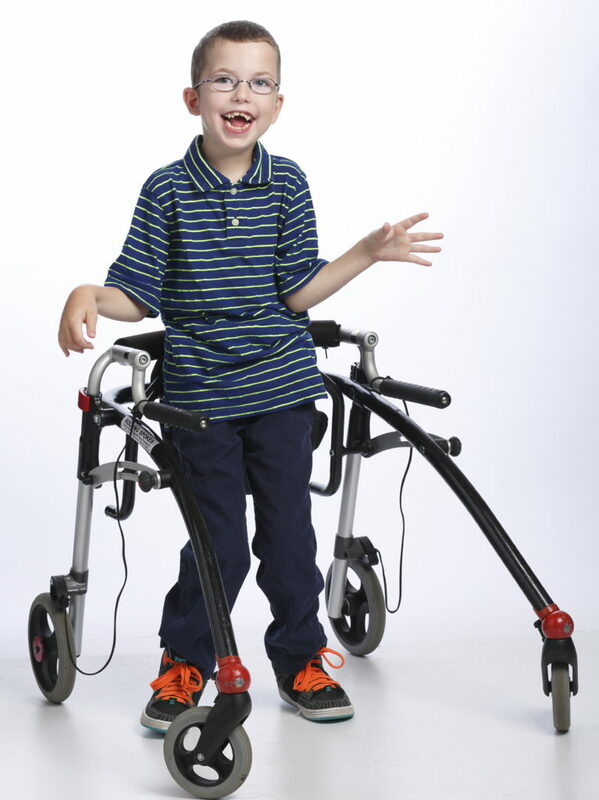 As Garrett has grown, he has received numerous pieces of equipment from the Children’s Rehabilitation Foundation, including a floor sitter, a stander, a walker, a Freedom Concepts bike. The foundation has also funded numerous modifications for his different seating chairs, toilet seat, and bath seat.